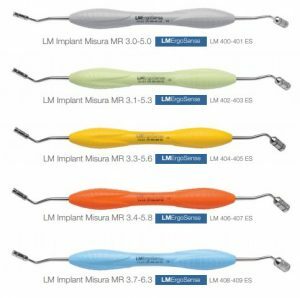 Finnish dental manufacturer, LM Dental, has unveiled a line of 5 instruments designed by StyleItaliano member Marco Redemagni MD, DDS to assist implantologists with optimal placement of the first osteotomy. The 5 double-ended instruments come in 10 different diameters ranging from 3.0 – 6.3 mm. 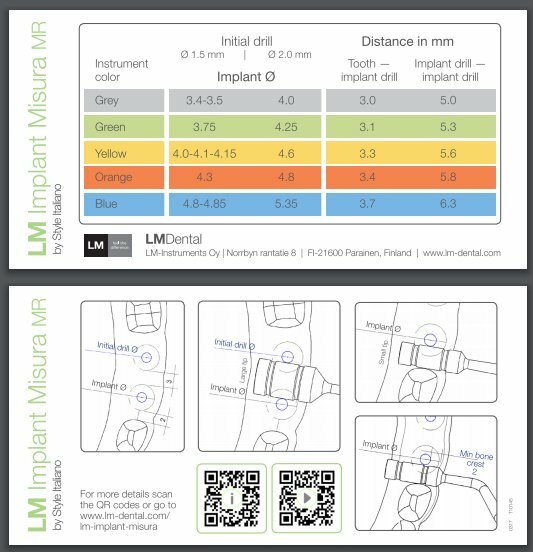 The Implant Misura Space Bar is an instrument that aids in the positioning of the first drill during bony drilling, thereby providing for the correct distance to ensure the requisite intra-implant and tooth-implant physiologic distances. Its use ensures a correct distance between two implants or between implants and natural teeth, without complex calculations and intraoperative measurements using periodontal probes. Maintenance of bony support around implants is of great importance for the outcome of implant treatment. Many studies pertaining to changes of the marginal bone level at the implant site have been published and different amounts of bone loss have been described. In addition to a correct three-dimensional implant insertion with a precise site development when necessary, in implant surgery it is important to maintain a minimal distance between implants (at least 3 mm) and between the implant and an adjacent tooth (1.5-2 mm). If this distance is not maintained, the interproximal bone crest could be reabsorbed, with resulting papilla loss, an undesirable aesthetic outcome, and functional damage. These instruments facilitate optimal implant placement to ensure long-term peri-implant bone stability.